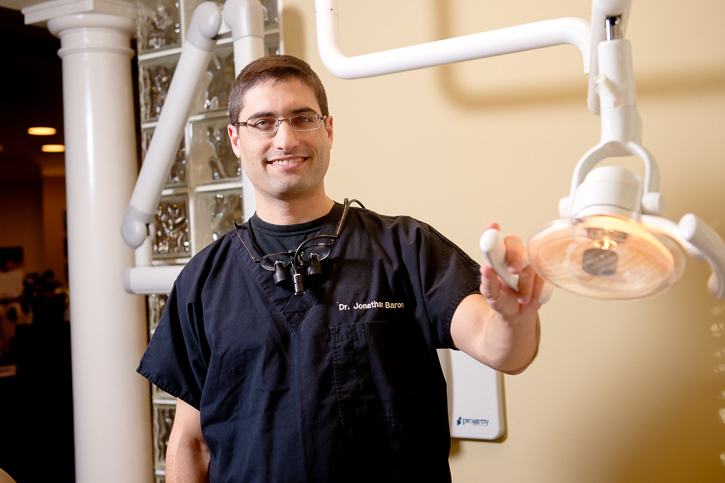 Dr. Jonathan Baron is a graduate of the University of Maryland Dental School. He has completed two separate postgraduate programs. The first was a General Practice Residency at St. Barnabas Hospital in New York. Next, he completed a General Practice Residency at Jacobi Medical Center, where he served as Chief Resident. Dr. Baron also completed an internship in Oral Implantology – also known as dental implants – while he was at Jacobi Medical Center. Currently, he is pursuing an Fellowship at the Academy of General Dentistry, which requires extensive continuing education. After working as an associate in a private practice, Dr. Baron opened Baron Dental. He believes in giving each patient a thorough diagnosis and comprehensive care. His training in surgical and restorative aspects of implant dentistry has enabled him to help thousands of patients. In addition he is an Invisalign provider. He is a member of the Academy of General Dentistry and the Maimonides Dental Study Club. Dr. Baron also participates in grand rounds at Sinai Hospital. He lives with his wife and children in Baltimore.